“Jeez, this is the worst muscle pull ever“, I thought while squirming uncomfortably on the bed in my hotel room. 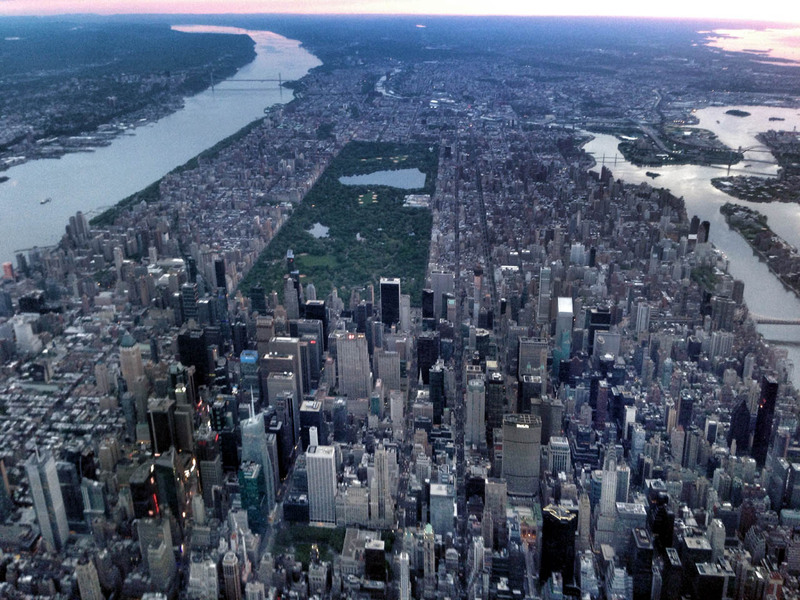 It was eight o’clock in the morning and we had just arrived in New York after flying a red-eye trip from Los Angeles. The transcontinental journey was smooth and quiet, our passengers snoozing in a dark cabin the whole night while we kept watch up front. The sky was just beginning to lighten when we shut down on the Atlantic ramp at Long Island’s historic Republic Airport and wished our sleepy customers a good morning as they trudged down the airstair and into the FBO . Although it’s been defunct for decades, one can feel the heavy weight of the airport’s legendary namesake hanging in the air like a ghost on those misty early-morning arrivals into FRG. Republic Aviation first appeared on the scene there in the mid-1930’s, and over the next three decades built some of the most famous aircraft in history. The P-47 Thunderbolt, F-105 Thunderchief, A-10 Warthog, and even the pudgy-looking RC-3 Seabee amphibian. Eventually, the post-Vietnam downsizing of the U.S. military claimed the storied Republic factory, but the airport still stands as a testament to What Was. 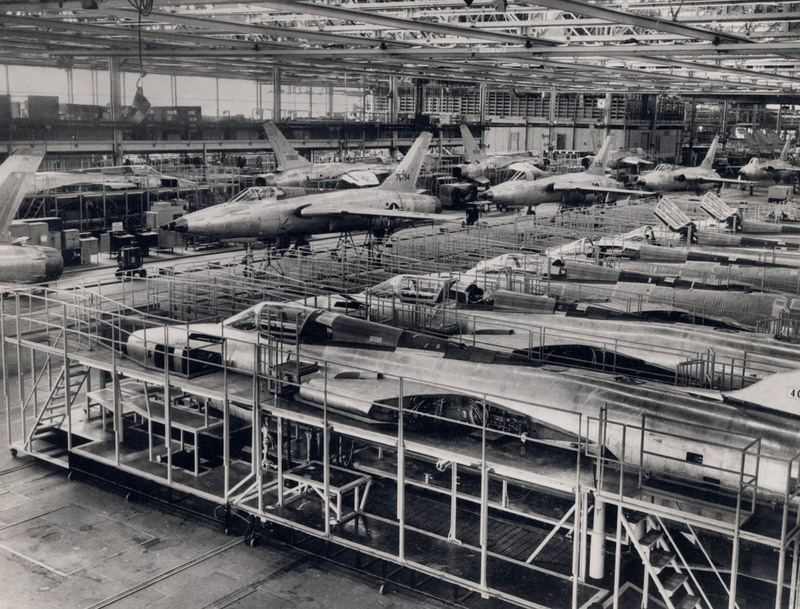 F-105 Thunderchiefs under construction at the Republic Aviation plant in Farmingdale, NY. Though it acquired the unflattering nickname “Thud”, the 105 was a capable fighter-bomber which served from 1958 to 1984. We blasting out of Long Island, witnessing a brilliant sunrise during the relatively low-altitude repositioning flight to Teterboro, New Jersey. After hours spent staring into the dark sky, it was a welcome and well-deserved treat to be vectored directly over Manhattan at 3,000 feet while the amber hues of a fresh day splashed nature’s wake-up call across earth and sky. If there’s one positive aspect of overnight flights, it’s the opportunity to witness a beautiful sunrise. Sunsets are okay too, but when you’re heading westbound they tend to last for hours and remain directly in your face as you race the time zones backwards. No matter how exhilarating, eventually they become too much of a good thing, especially when you’re 45,000 feet up and above much of the protective atmosphere. In fact, if you’re traveling fast enough, the sun will actually come back up while heading west. It must be strange enjoying a complete sunset twice on the same day. As supersonic business jets become a reality, I hope I’ll get to experience that first-hand. Anyway, I helped offload what felt like a quarter-ton of awkward baggage from the Gulfstream’s aft compartment before retiring to the Marriott. It was shortly after checking in to my room that the lower left area of my back began to ache. “Probably strained it lifting those bags”, I assumed. Sitting in a seat for five hours and then hopping up to immediately start moving baggage is a good way to hurt yourself, especially in the ergonomically-incorrect confines of the -IV’s cargo area. It’s essentially a walk-in closet-sized space with a flat floor but constantly curving walls and ceiling. You’re literally putting square pegs into a round hole, and loading or unloading things doesn’t always allow for proper lifting posture. “Well, it’s not the first time I’ve tweaked my back, and I’m sure it won’t be the last”, I thought. It went on like that for a good hour or two before the pain finally subsided. It seemed logical that the discomfort might prevent the strained muscle from relaxing, so I resolved to take it easy for the rest of the day and allow the pulled muscle to heal. A bit of careful stretching and some hot water from the shower seemed to help, and eventually the pain went away. The rest of the trip was uneventful and I considered the issue resolved. Later that week, my wife and I spent the day at her brother’s house in Topanga Canyon celebrating our niece’s birthday. That evening, we headed downtown to see LA Opera’s production of A Streetcar Named Desire. It took a while to get used to Previn’s style, and from where we were sitting the orchestra — located on the stage instead of in the pit — overshadowed the singers, but Renée Fleming still gave an an outstanding performance as Blanche. The role was written specifically for her, and it’s easy to see why. After the performance, we returned to Topanga and as we were staying our goodbyes to the family, that dull aching pain slowly came back. What the heck is going on here, I wondered? Was it from sitting for three hours at the Dorothy Chandler? It was a mystery to me how I could have re-injured myself. As we drove home, I suffered more and more as the ride progressed. Kristi and I tried to figure out what was going on. Knowing where the pain was located, and she mused out loud about the various body parts located in that region. I was only half-listening when she mentioned something about the kidney — and like a flash it hit me: I must have a kidney stone! I’d had one about twenty years earlier, before I started flying. I reported it on my very first medical application (and every one thereafter via the “previously reported–no change” schtick). It never prevented me from obtaining any class of medical certification, although the FAA’s aeromedical branch did send a letter asking for a couple of tests back when I first started flying. As luck would have it, my ‘eureka’ moment occurred on a Friday evening at the start of a three-day weekend. I phoned my doctor’s office and received a return call from a nurse who basically said I’d have to wait until Tuesday to even schedule an appointment. Four days! And who knows when I’d be able to get on the doctor’s calendar. An urgent care center wasn’t going to be much help, because they wouldn’t have x-ray or CT machines. The only timely option for determining what was going on would be an emergency room visit. At first I demurred. Even with insurance, a short trip to the ER can easily cost a thousand dollars. I’d seen that first-hand. But the following morning the pain was still there, so Kristi dutifully drove me to the Hoag Hospital in Irvine and within 30 minutes had confirmation of my suspicions: a kidney stone. 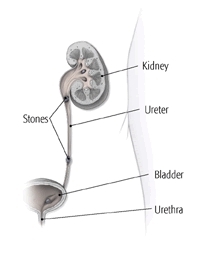 Kidney stones rarely present pain in the kidney or bladder. It’s the tiny tube connecting the two that’s the problem. That was the bad news. The good news is that it was fairly small and located at the bottom of the ureter, the tube that connects the kidney to the bladder. These little rocks only cause pain when they’re stuck in the ureter; once they pass into the bladder, you’re home free. The doctor estimated that the stone would be gone within a day or two, so he prescribed a pain killer and sent me on my way with a fine strainer to urinate through in order to catch the tiny object when it exited the body. In theory, the stone can be analyzed by a lab in order to determine why it formed. Sure enough, a couple of days later that damned thing passed, just as the doctor said it would. The chief pilot at my company swears up and down that drinking a Coke helps a stone pass. He said it worked for him. Just to be on the safe side, I did drink one and the stone went the next day. Of course, the ER doctor said it would happen quickly, so who knows. It was a huge relief, and not just because the pain was gone. As a contract pilot, I am not entitled to any sick pay, paid time off, or other benefits aside from those I purchase on my own dime, and since I obviously wasn’t going to fly with a kidney stone, I was out of work until the situation was resolved. The FAA allows a pilot to return to the cockpit once the stone is gone, but my episode happened to coincide with the expiration of my first class medical certificate, so I had to start thinking about the hurdles inherent in renewing that important little scrap of paper. It’s just as well because I would have to deal with it sooner or later anyway, and after an hour or two of research I realized that with a bit of forethought and planning, I could get the required tests done and obtain my new first class medical without too much delay. After a kidney stone episode, the next medical renewal will require a KUB x-ray study to prove you are stone-free, as well as a few simple blood tests and an analysis from a urologist about the possibility of complications or kidney damage. Between the internet, AOPA’s medical specialists, and a good Aviation Medical Examiner, I was able to arrange the required exams and obtain the necessary documentation within a few days. There’s no doubt that medical certification can be a pain in the rear, even if you’re in perfect health. It’s expensive, time consuming, and there’s plenty of debate about whether it even contributes to flight safety. That’s why there’s a a bill working it’s way through Congress to abolish the 3rd class medical: decades of glider and LSA pilot flying have shown that medical incapacitation is no more likely without medical certification requirements than with it. This logic can tempt a pilot to omit portions of his or her medical history from their application. Though I’m not a supporter of medical certification for non-commercial aviators, it’s penny wise/pound foolish to do this, especially in an era of computerized databases. It’s easy for omissions to come back and bite you later. 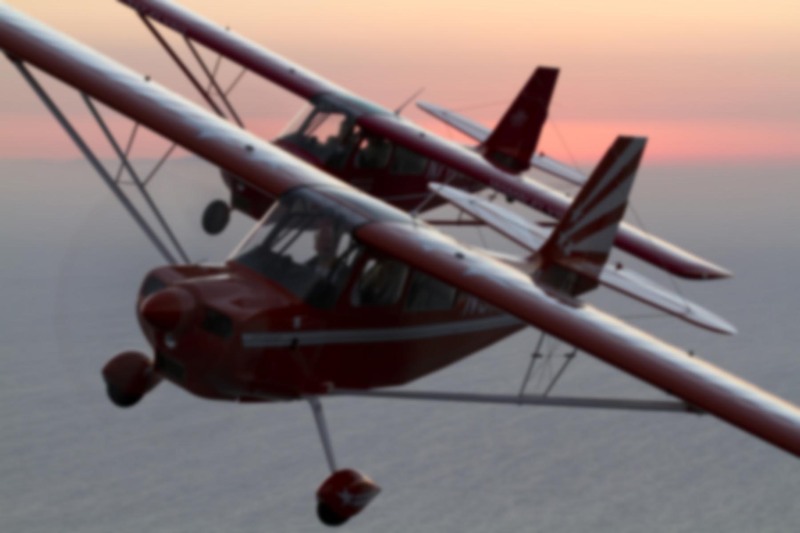 The penalties are severe and can include revocation of the pilot certificate itself. One guy I knew omitted a health issue from his application and the Feds found out about it later by cross-referencing databases from different federal agencies in search of disability fraud. Though he never claimed disability, the omission came to light and caused him a world of headaches. Incidentally, he found the database cross-referencing to be illegal and sued the government. The case went all the way to the U.S. Supreme Court. Anyway, a smart aviator will leverage the plethora of available resources to learn the FAA’s requirements and ensure the required data is on hand before going to see the AME. All the tools you need are out there. I know pilots who have had major brain surgery, organ transplants, weird blackout episodes, and more who still managed to get their medical certificates back. Color blind pilots, pilots with no arms, and even those who once took heavy medication for depression have obtained medicals. These days even some diabetics can get a certificate. But you have to know what you’re doing. Charging into an AME’s office unprepared is asking to have your medical deferred to Oklahoma City, and that lands you in a bureaucratic hell consisting of delays and demands from people you cannot speak to directly and will never meet face-to-face. Even physicians admit that they don’t always know what causes kidney stones. I read that one-quarter of the population will have them at some point in their lives. In my case, I have a theory: I think it has to do with the long-haul charter trips I’m doing these days. Or rather, my behavior on those trips. I just got back from one where we flew nearly 12 hours (only 10 under Part 135, of course) over an 16+ hour duty day. While I’m well aware that the dry air and high cabin altitude cause dehydration, I never drink anywhere near enough water because I hate having to use the lavatory too often. And when I do drink fluids, on overnight flights it’s often something caffeinated to help keep me alert. Dehydration is a prime culprit for the formation of kidney stones because it allows the minerals being filtered by the kidneys to accumulate in sufficient quantities to crystallize. Most people don’t drink enough water. I’m trying to be better about it, though. Since the kidney stone passed, a reusable plastic water bottle has been on hand everywhere I go. My brother-in-law had given us a reverse osmosis system for our kitchen, so we finally got that installed. I didn’t realize what a difference it would make in the taste of the water! We used to keep a Brita pitcher on hand, thinking that would remove most of the impurities, but it doesn’t hold a candle to the reverse osmosis process. Women who have had them say kidney stones are as painful as childbirth. I can’t say with 100% certainty that upping my water intake will keep them at bay forever, but I’m going to give it my best shot. Kidney stones are the pits — literally. Thank Goodness you are ok. All jokes aside, it would have been interesting if you left the Dr with an Rx for a Coca Cola. (I’ve heard it cures other things too). Drink more, and get up and stretch. Even on long hauls in Coach, I get up every 90 min and walk the cabin length of the 747 or 777 I am sitting in. No harm in using the W.C. I would imagine, doesn’t disturb the PAX I hope, and anyway, you are crew. I had the pleasure of meeting Jessica, twice, and I’m glad she is finally getting some more aviation press. The first time I met Jessica was a little over three years ago when I was traveling with Manny Pacquiao and he met up with her. I think it was for PR and she invited him to fly with her but he declined for the time being stating he was too busy training. She is simply incredible. The second time was at UA when she used to go swimming! yup. I remember seeing her at the Rec Center. And now she is flying the same Eurocoupe, looks like as she was 3 years ago. What an amazing, talented confident young woman. I’m really glad you met someone like Jessica, Eric. She is truly inspirational. I couldn’t get past the “traveling with Manny Pacquiao” part. You’re always full of surprises, Graeme! Great column. Very candid, which is what we need. Yes, honesty is the best policy, but what a can of worms one opens when checking anything in the “Yes” column! Red tape bureaucracy from an indifferent government at its worst! In reference to the “pilots with no arms,” if you’re referring to Jessica Cox (to my knowledge the world’s ONLY armless pilot), she has a Sport’s license, which doesn’t require a medical–only a Driver’s License, which she also has! Remarkable young woman. If you haven’t seen it yet, here’s a link to my video interview with her. Simply amazing! Getting back to the issue at hand, I agree: drink lotsa water on those long-hauls, as the cabin air is dry. Also getting up and stretching occasionally. I’m sure it will help those stones, along with many other issues. Glad you enjoyed the post. And you’re right, checking any of the “yes” boxes can whack that bureaucratic hornet net pretty hard. That only encourages pilots not to disclose, which — assuming you buy the benefits of medical certification — only hurts the cause of flight safety that it’s designed to enhance. Kind of a vicious circle, isn’t it? Re: Jessica, I assumed she flew under a SODA. I can’t imagine what medical standard she wouldn’t meet simply by virtue of being armless, but then again maybe the FAA really does think a person without arms cannot fly. You know what’s even more impressive than her flying? Using her feet to put in contact lenses. Now THAT really is a magic trick! As a new|student pilot, knowing to have all of ones ducks in a row prior to going to the AME is great advice. The only issue I’ve found is knowing what ones “ducks” actually are. I ended up going for my third-class medical for my student certification only to get thrown into the bureaucracy that “capnaux” mentions. Only after the initial AME exam did I understand the red-tape that I am still experiencing now. Like you, I’ve become adept at understanding and knowing what the FAA will request and I start to line up the tests and results so that when the time comes, it’s all in a full packet of information that will lessen the amount of pain. I look forward to your continued posts and hope all is well for you, and your kidneys! Hi, Eric. I’m sorry to hear about your medical certification headaches! But it sounds like you’re persevering. That’s the key, really. Very few people who want a certificate are truly unable to get one. It’s just a matter of how much time, money, and effort one has to put into this David-vs-Goliath battle. CFI candidates aren’t typically taught about how best to guide students through the aeromedical maze, but perhaps we should be. Just think how much hassle you could have avoided if someone had only walked you through the process beforehand. Anyway, thanks for relating your story! Hey Graeme, I too am impressed with your Manny P. story! Just curious, are you Pinoy? And yes, Jessica Cox never ceases to amaze me! She’s putting the final touches on her “Rightfooted” vid, which will hopefully air on TV very soon. Ron, if you’re referring to me (you said, “Sorry about your medical headaches, Eric,”–I’m guessing you’re talking to Ewager, above.) Knock on wood I am NOT having any, but I have known pilots for whom it’s been a major challenge to fight an indifferent bureaucracy, who’s more interested in covering their a$$es then doing the right thing. Oh, and, No I’m NOT having “headaches” LOL! I’m pretty sure in a past life I was, a Filipino for sure. I am actually South African but somehow I identify more with the culture of the Philippines. Ever since I’ve been there I’ve fallen in love with the geography, the people and the culture.